The Curve back-to-wall bath gives you the freestanding look of an exclusive bathroom, without the maintenance. It can also be positioned flexibly in the room and is available in different sizes. 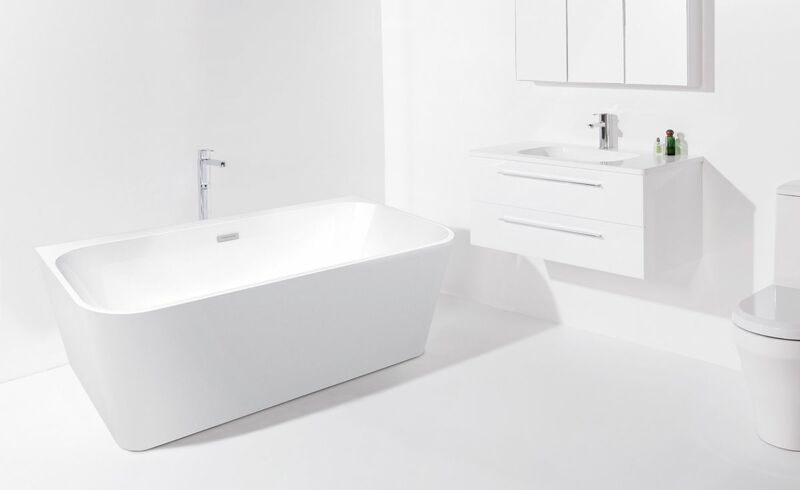 VCBC baths are made from a special acrylic that has a very durable surface and excellent thermal properties – it is able to retain heat, warm to touch, and is UV-resistant. With its back-to-wall design you get the look of a freestanding bath, but without the maintenance of cleaning behind the bath. *Tapware and accessories not included in price. Please choose carefully- Outlet items are either ex-showroom models, seconds wit minor faults or end of line items. All Outlet store items are non-refundable and non-returnable and also do not come with warrantys. Please arrange collection within a week of purchasing from the Auckland Showroom. BathCo are not able to organise delivery.